I Smell Pretty.....So, So Pretty! Totally smitten with Yves Saint Laurent Paris at the tender age of 8. 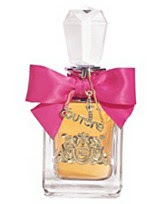 My mom received this as a gift and from the moment I laid my eyes on it I knew this would be my signature scent. The delicate fragrance has made it's rounds with me to the Prom, to the dorms at Morgan State, special events and even the delivery room. 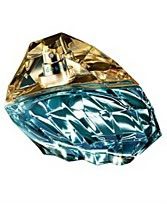 The diamond edged bottle was a mere representation of royalty, class and distinction to fashionistas everywhere. Mr. Laurent, an incurable romantic created Paris in 1983 and dedicated it to the city of inspiration and love. YSL transformed the fragrance industry with his product design and luxury packaging. Today many fragrance insider's are mimicking his attention to detail and providing stellar marketing, and carefully designed packaging. Coty, the world’s largest fragrance company, has created La Voce by Renée Fleming, in honor of Met star Renée Fleming. The launch 9/22/08 launch coincides with the Opening Night Gala of the Metropolitan Opera's 125th anniversary season, starring Fleming. 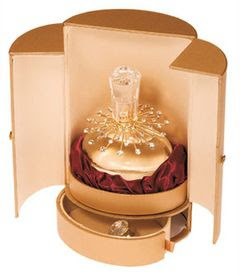 The perfume La Voce Renee Fleming is available in a very luxurious 50 ml bottle 50 for $200, presented in a limited edition. It will be sold only in exclusive locations. 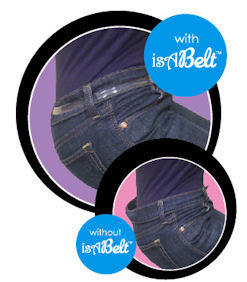 The IsaBelt is the original fix it belt! Say Bye-Bye to back-gap, spillage, tugging and pulling. I'm so excited about our One Year Anniversary Give-Away! Thanks to our loyal Tres Chic Style readers who've entered our contest. Day 6: Could Be You!! There's still 2 more days to enter and you'll all be entered to win the Grand Prize on Wednesday October 8th. One winner will receive a gift basket filled with goodies worth up to $500. This gift bag will include I AM by Danica Aromatics ($65), The N0! No! ($250), Spa Finder Gift Certificate ($100), The One Hundred by Nina Garcia ($21.95) and a Sephora Brand Perfect 10 Brush Set ($72).